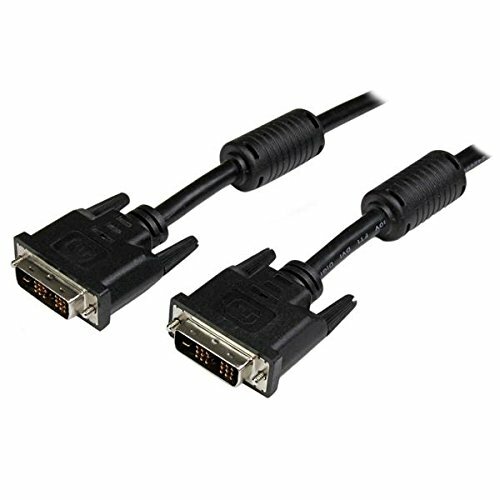 The DVIDSMM15 DVI-D Single Link cable features 2 male DVI (19-pin) connectors and provides a reliable, purely digital connection between your desktop or laptop computer and a DVI-D monitor or projector. The 15ft DVI-D male to male cable supports resolutions of up to 1920x1200 and transmission rates of up to 4.95 Gbits/sec, and is fully compliant with DVI DDWG standards. Designed and constructed for maximum durability, this high quality digital video cable is backed by StarTech.com's Lifetime Warranty.